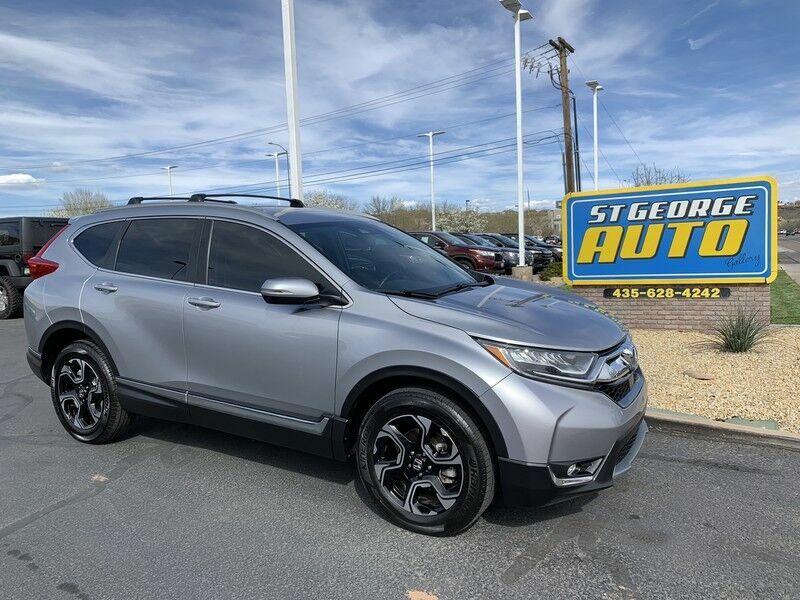 This outstanding example of a 2017 Honda CR-V Touring is offered by ST. GEORGE AUTO. Do so much more with one vehicle. This Honda CR-V gives you everything you need an automobile to be. The greater your fuel-efficiency, the less your carbon footprint. And with exceptional MPGs, this Honda CR-V treads ever so lightly on Mother Earth. Once you see this Honda, you'll quickly see that this is the perfect vehicle for the outdoor junky! You'll even feel relaxed knowing that this All-Wheel drive vehicle will get you to where you are going no matter what may come your way. Also, with this Honda CR-V's dependable control you'll be able to drive into the sunset without a care in the world! The CR-V Touring has been lightly driven and there is little to no wear and tear on this vehicle. The care taken on this gently used vehicle is reflective of the 23,051mi put on this Honda.